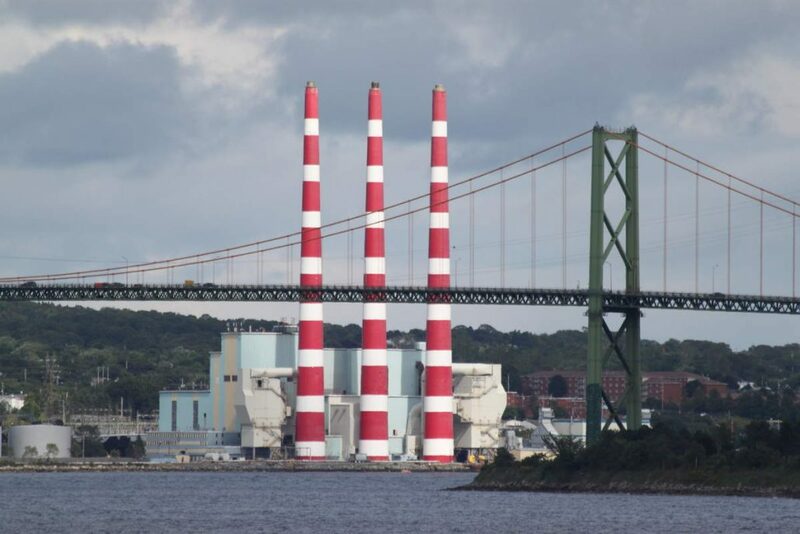 Tufts Cove generating station opened in 1965 and burned oil or coal to make electricity. 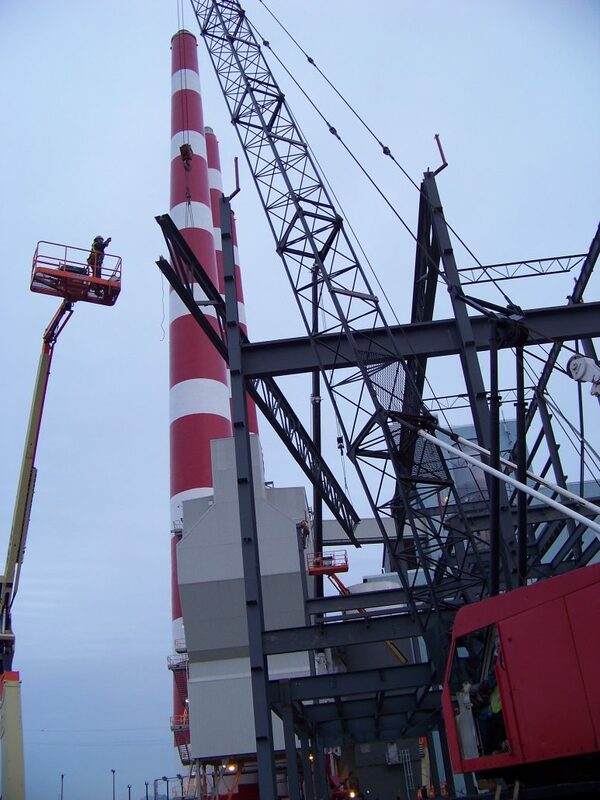 Over the years the plant has under gone necessary change and growth to supply Nova Scotians with clean and green electricity. 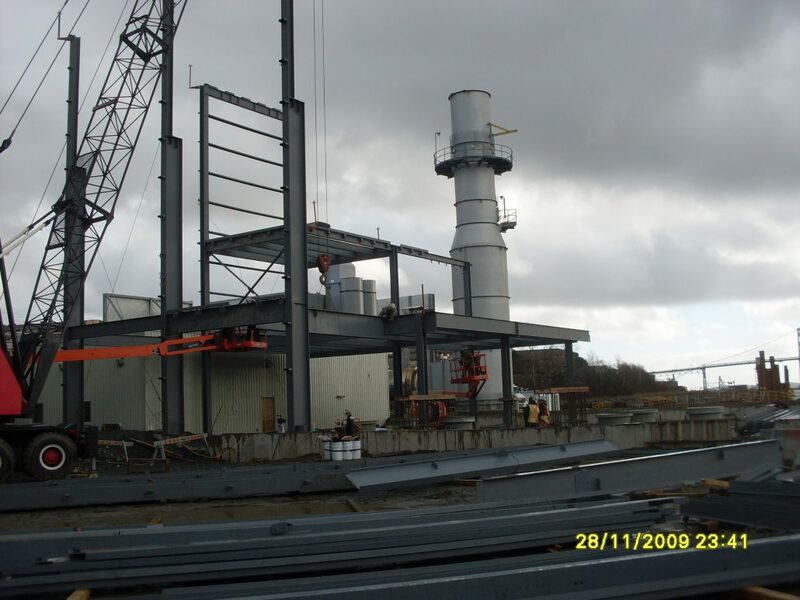 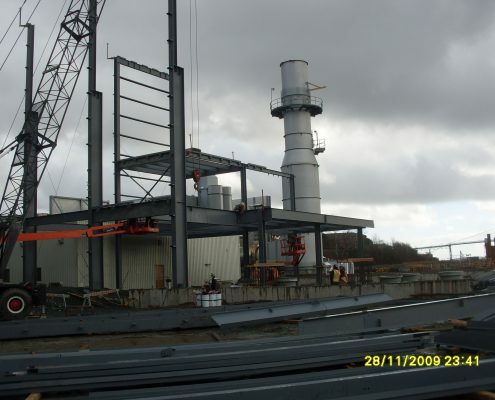 Marid’s purpose on this job was to construct a building to house a new Steam Turbine Generator (STG). 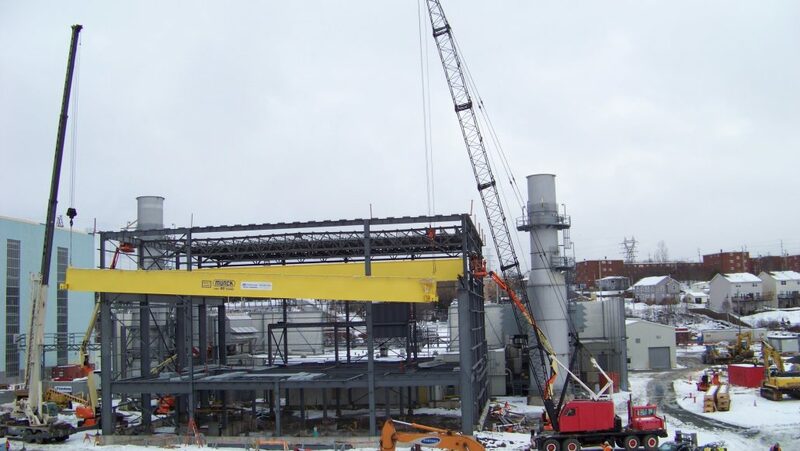 The new equipment captures waste heat from the two existing natural gas combustion turbines and uses it to power the new STG. 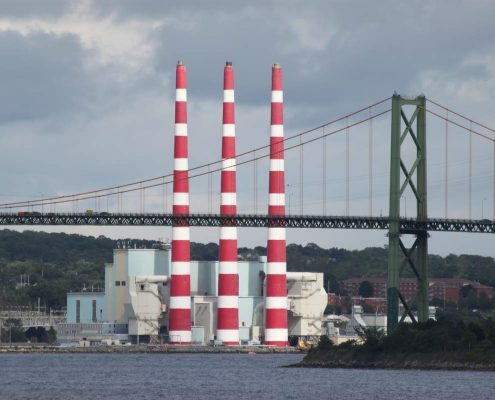 This new system allows Nova Scotia Power Corporation to generate an additional 50 megawatts of electricity without any fuel or emissions; enough to power up to 35,000 homes. 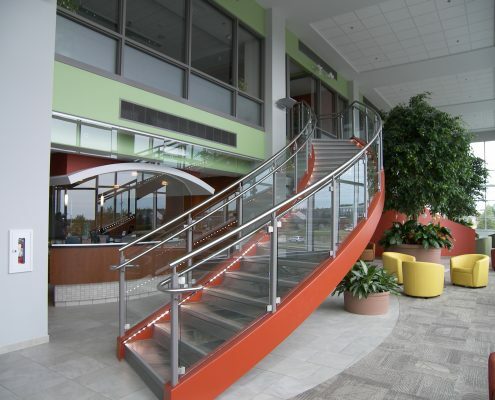 Miscellaneous Metals included steel stairs with rails, guard rails, gates and ladders. 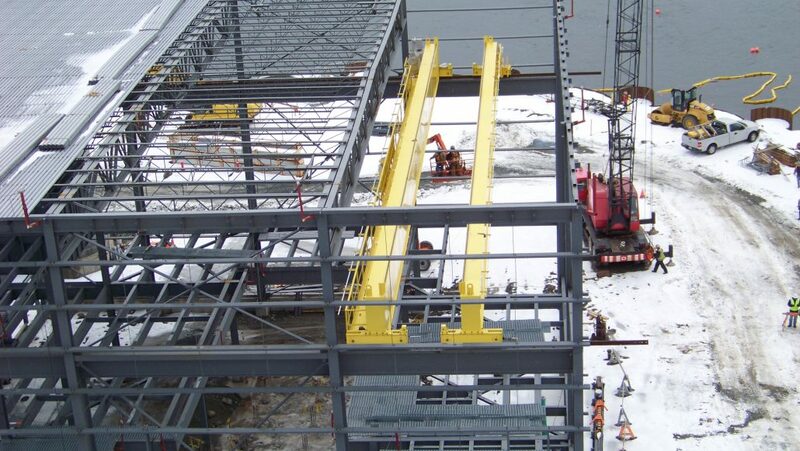 The machine floor was decked in with heavy duty grating. 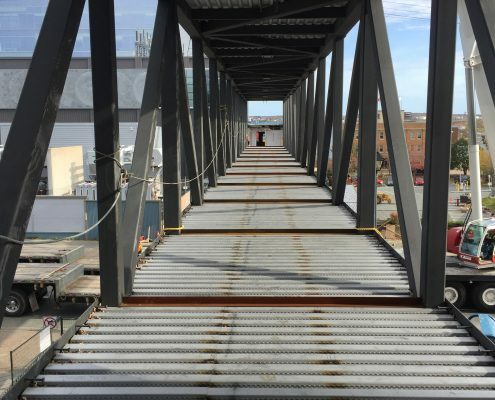 All grating was bolted to the floor structure so that the epoxy paint coating would not be disturbed by a welding process. 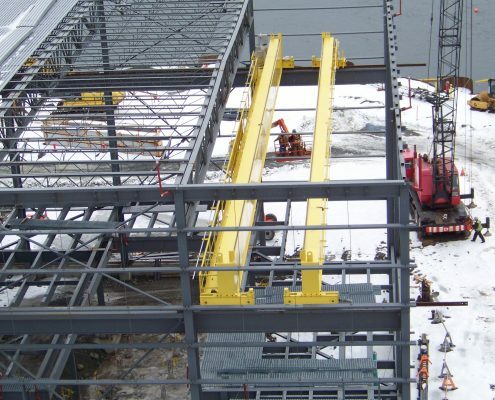 This type of installation required the floor support beams to be pre-drilled to match the bolt hole patterns in the supplied grating. This took precision teamwork from Marid’s drafting, shop and site employees to ensure all holes lined up accordingly. 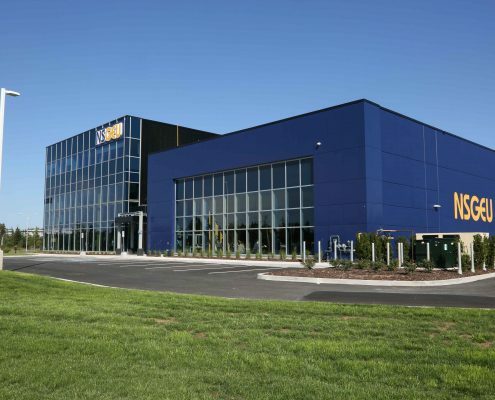 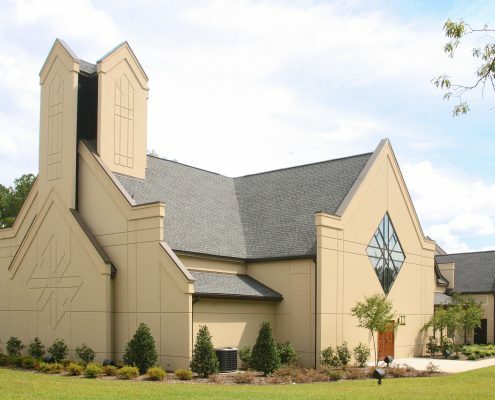 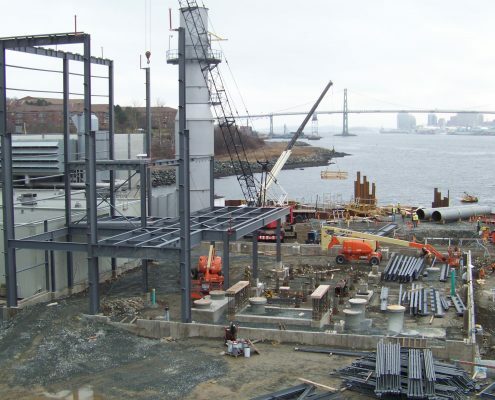 For this project, Marid fabricated and installed structural steel and miscellaneous metals. 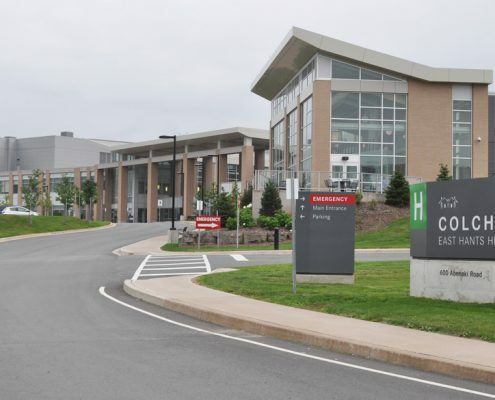 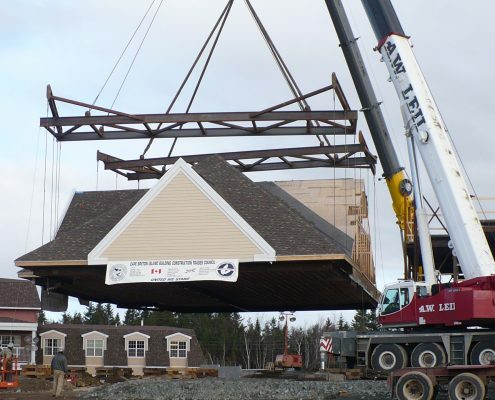 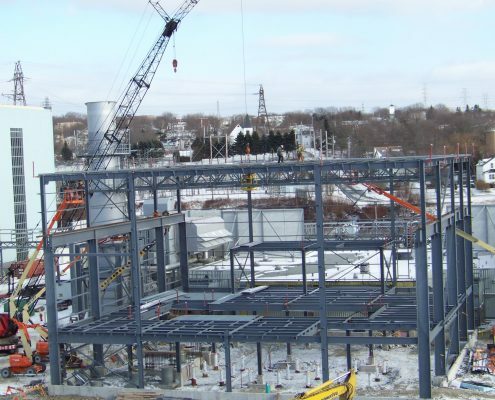 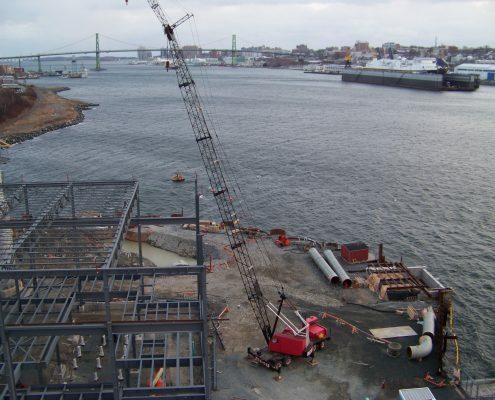 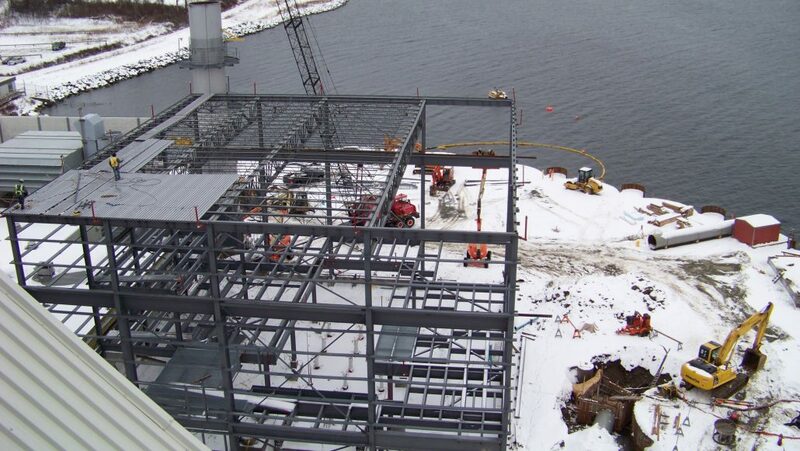 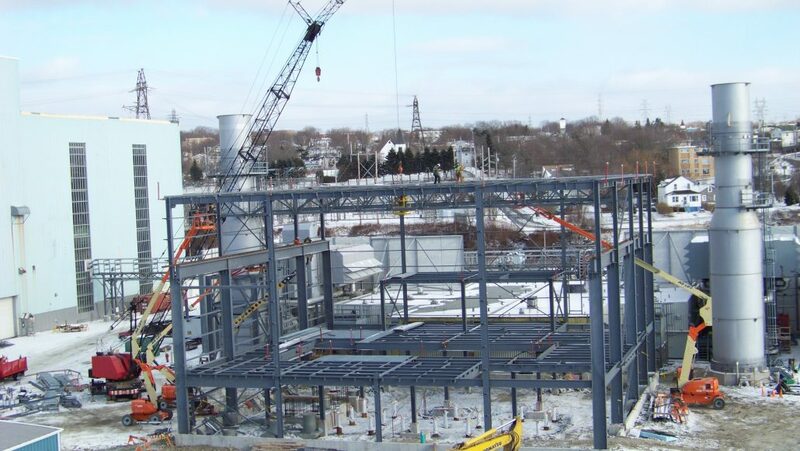 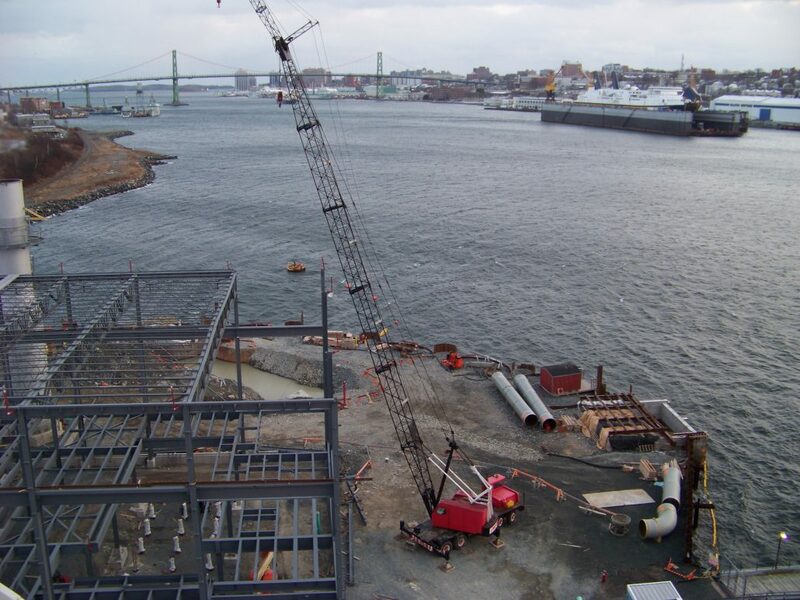 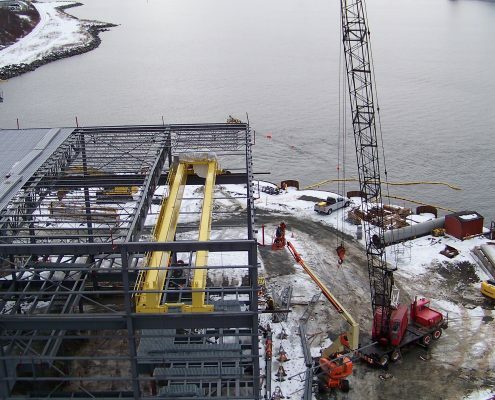 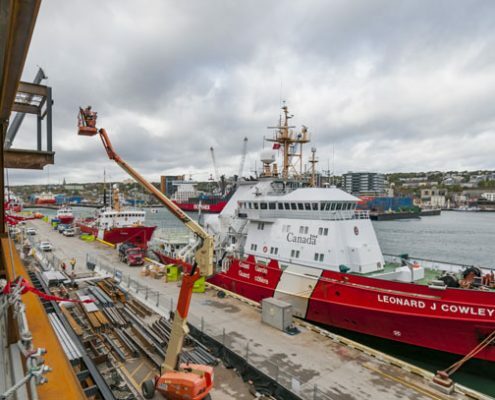 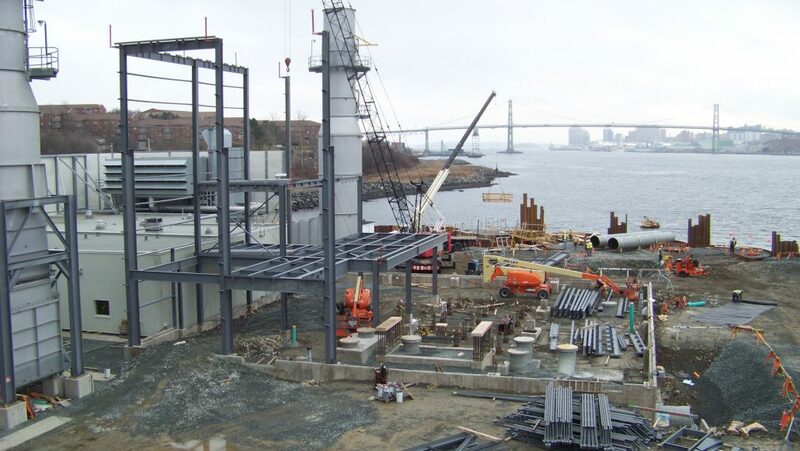 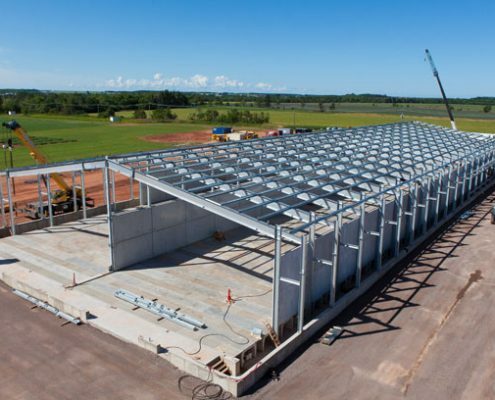 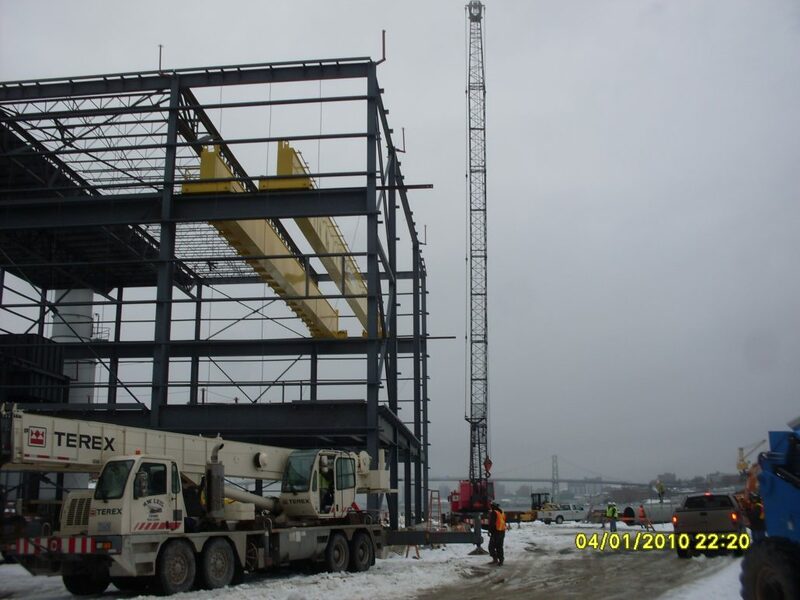 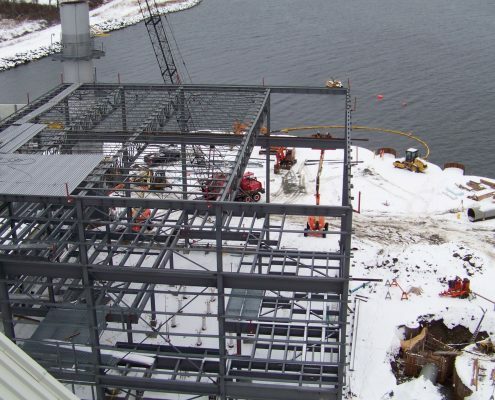 The structural steel erection included 100ft girder trusses, medium span open web steel joist and roof decking which were supplied by Canam Steel. 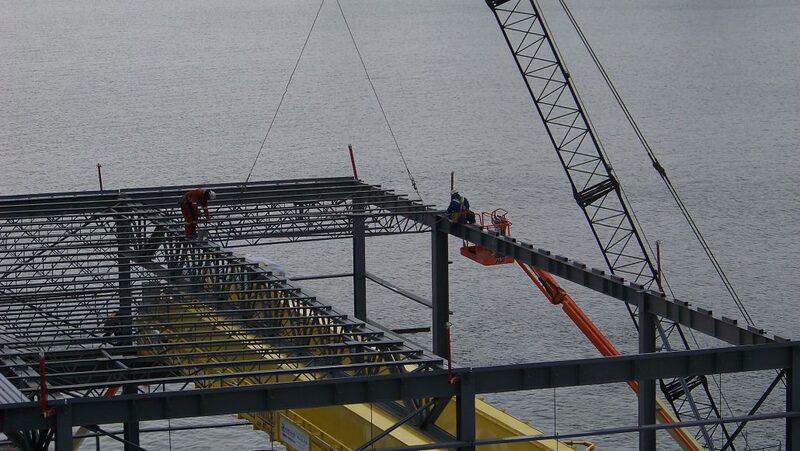 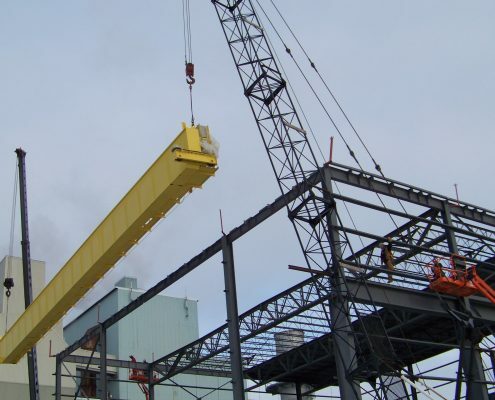 The girder trusses were shipped in two sections assembled on the ground and erected using two mobile cranes. 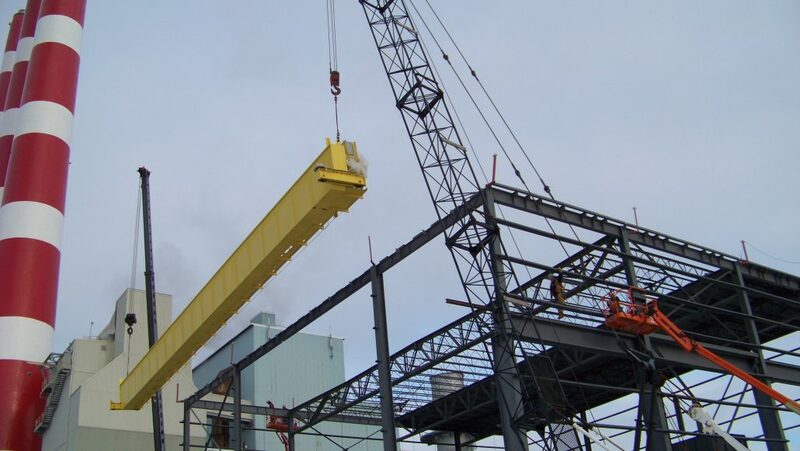 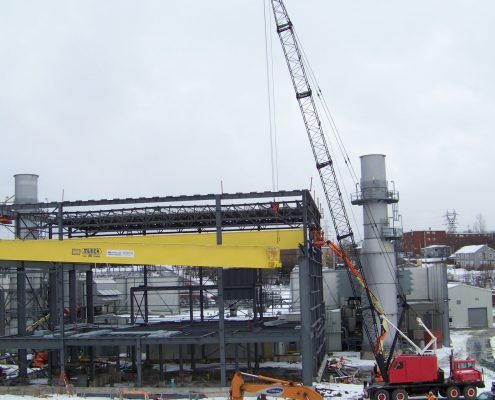 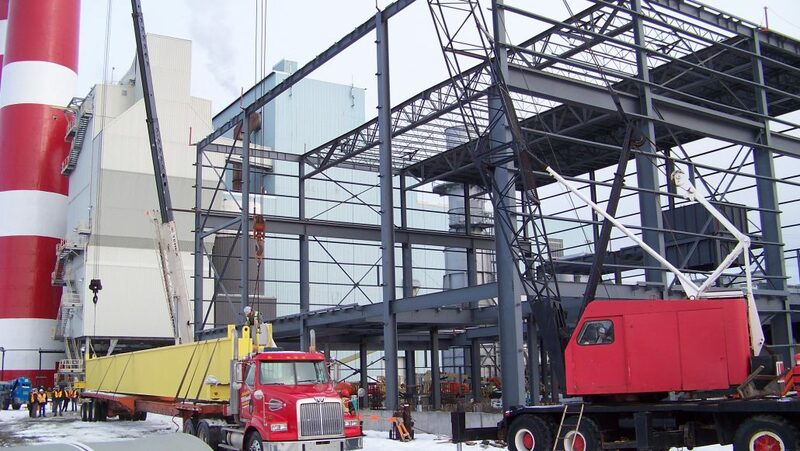 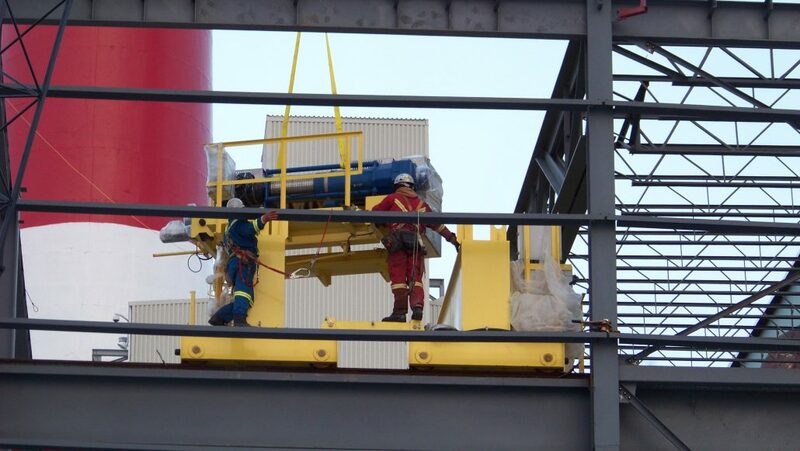 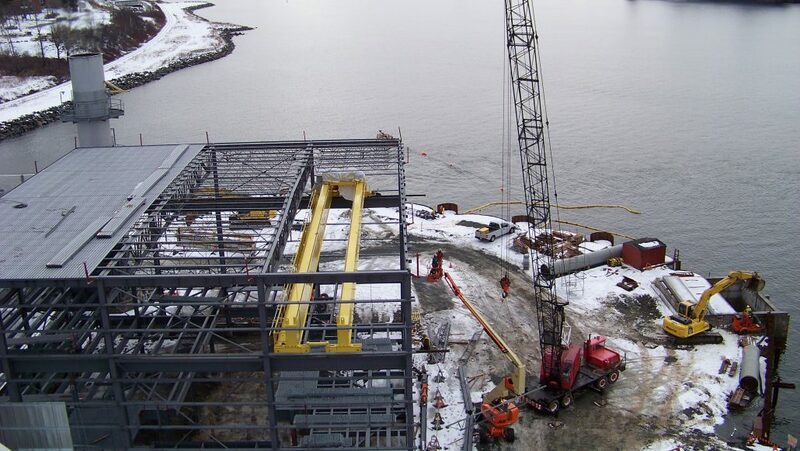 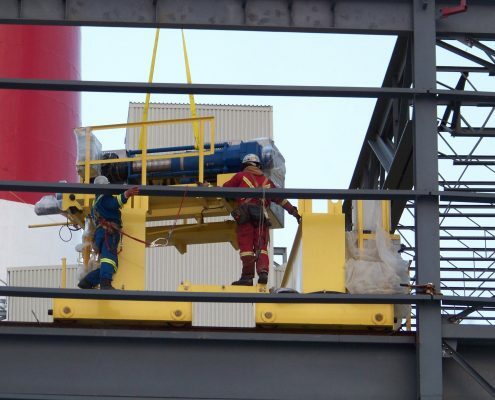 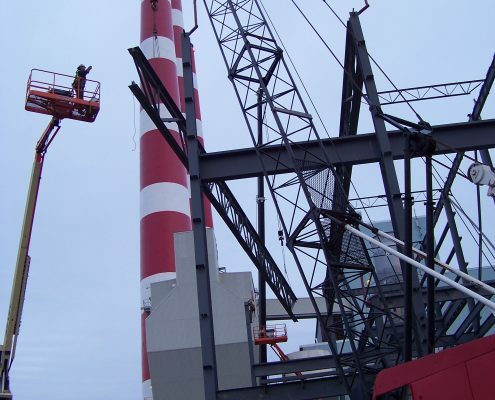 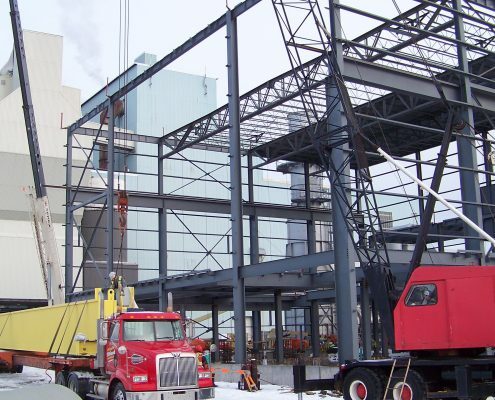 This particular contract also included the erection of a 40 Ton double bridge overhead crane, including the installation and alignment of the crane rails, as well as the supply and installation of a utility rack on the roof of the existing power house. 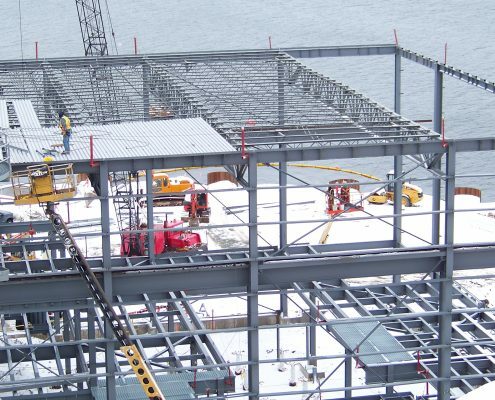 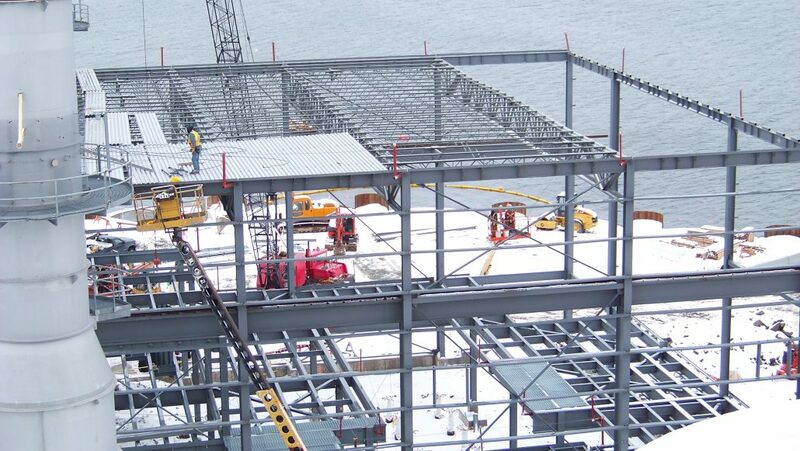 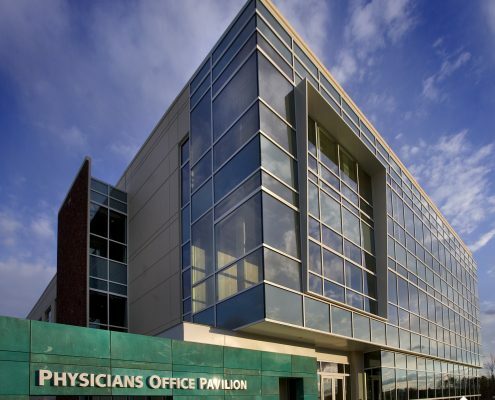 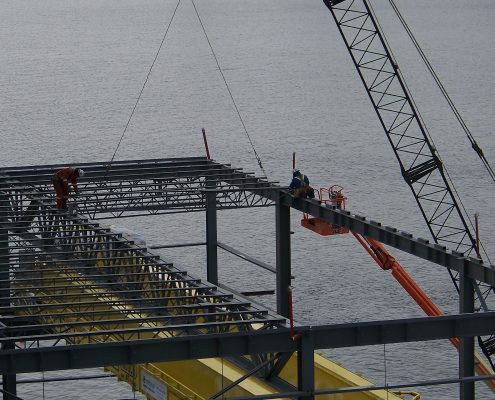 The total weight for this project was 278 Tons of steel with 235 Tons accredited to structural steel. 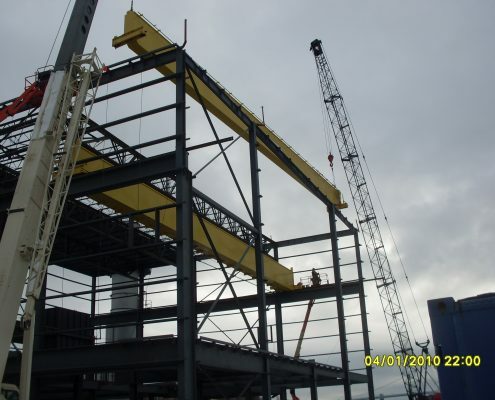 Marid is pleased to have taken part in this project.